How much are you paying for your pizza? Journalists at NPR did some very important research and released some great infographics averaging the price of a pie across 237 mostly urban U.S. neighborhoods. To start, NPR looked at the median price of all cheese pizzas based on data provided by Grubhub Seamless, and included neighborhoods in five cities: Chicago, Los Angeles, New York, Philadelphia and Washington, D.C.
We took a look at New York City's numbers here. Not surprisingly, pizza costs more in Manhattan than any other city. Midtown Manhattan averages around $23 a pie. In parts of Philadelphia, you can purchase a pie for just $8. Animal New York points out that nothing matters more when choosing a place to live than the proximity to a decent slice, so now you can use this data to figure out where you'll move to next. Here are the prices of pizza in Manhattan neighborhoods. The size of the dot represents the amount of pizza places in that particular 'hood. To see where other cities' pizza falls in comparison, visit NPR's Planet Money blog here. These infographics were created by Quoctrung Bui at NPR's Planet Money, with permission to use. “It’s the same problem with water filtration where we want to filter out microbes but maintain a high flow rate," Rohit Karnik, co-author of the study and an associate professor of mechanical engineering at MIT, said in a media release. 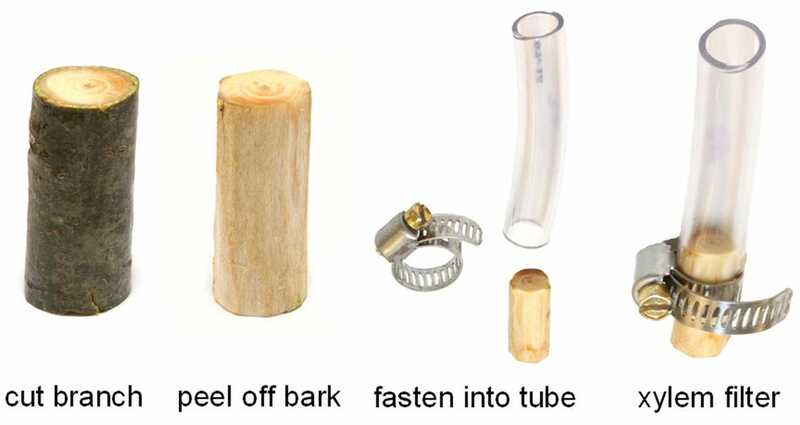 In the lab, the MIT team found that the tree branch filtered out 99% of E. coli bacteria from water. In an interview! with Po pular Mechanics, Rick Andrews, global business development director of water systems at the National Sanitation Foundation International, cautioned that the results might be slightly different if conducted in a real-world setting. 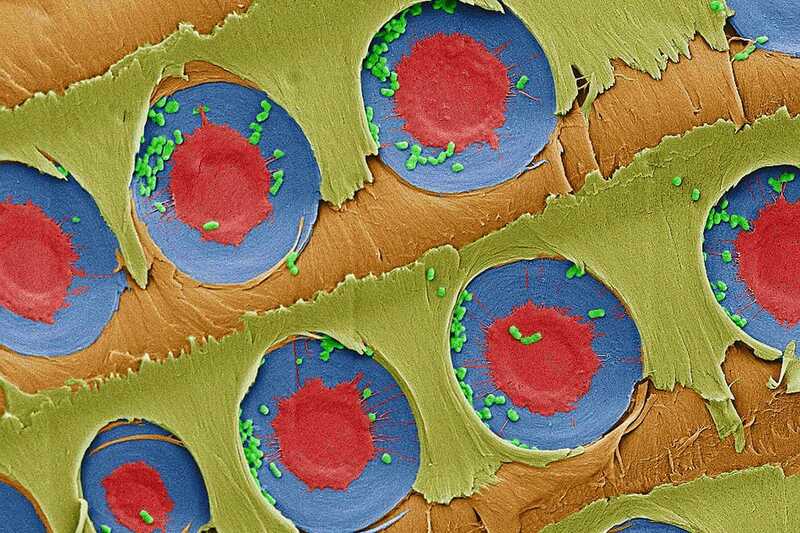 It's possible that very polluted water could clog the pores of the tree branch making it less effective. For the past several years, improvements in smartphone cameras have followed the "more megapixels" mantra. 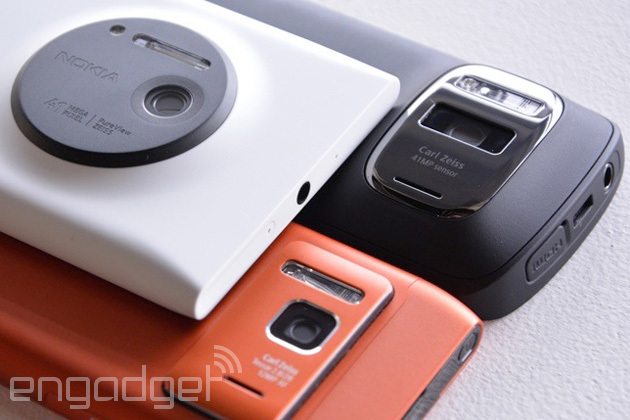 Samsung's Galaxy S5 is up from 13 to 16 megapixels; Sony's new Xperia Z2 packs a 20.7-megapixel Exmor model; and Nokia's Lumia 1020 with PureView is a 41-megapixel monster. However, Google's recent sensor-laden smartphone prototype, Project Tango, could herald a new direction. Though Mountain View is focused on 3D mapping, so-called depth camera tech could dramatically improve all the pictures you take with your smartphone. By using two lenses with different focal lengths, for example, you could zoom in on subjects with quality that rivals bulky optical zooms. It could also eliminate a number of other shortcomings without adding an awkward hump like the one seen on the Lumia 1020. You could soon have much better light sensitivity, less noise and depth of field control that rivals a DSLR. The benefits are clear, but Google is not alone in its pursuit. The battle for a better smartphone camera is on, and you could be the one to reap the rewards. Like a mobile Kinect, Project Tango includes a high-res camera, a low-res tracking sensor, an infrared depth scanner and a CPU. The Myriad 1 brain, developed by Movidius, processes all the inputs at teraflop speeds using several hundred milliwatts of power. In a demo video from last year, Movidius showed off various applications like VR motion tracking, post-capture refocusing (à la Lytro), computational zoom and mobile 3D scanning. 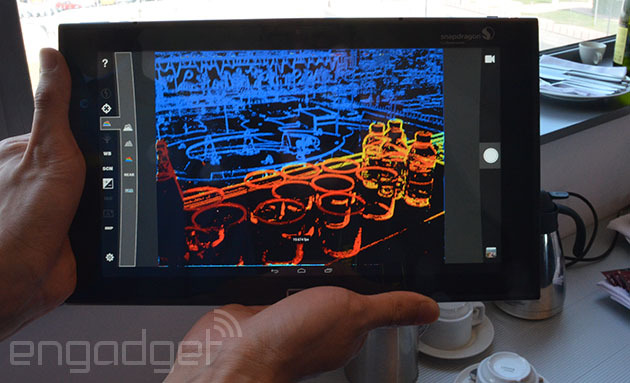 For its purposes, Google has keyed in on depth scanning with Project Tango. That would enable anyone with a smartphone or wearable like Google Glass to map their indoor environment using only a smartphone. Obviously, the search giant has a strong commercial interest in that function, given how tight the Maps app has become with its search business. As such, its Advanced Technology and Projects (ATAP) group (the part of Motorola it didn't sell to Lenovo) created a prototype phone and an SDK for developers. It's hoping developers will come up with innovative mapping and location functions that could one day become Android apps. However, one overlooked aspect in the Project Tango coverage has been the technology's potential to vastly improve smartphone photography. Thanks to onboard sensors and enormous, imaging-specific horsepower, it could sort out some of the annoying limitations of taking snaps with your phone. 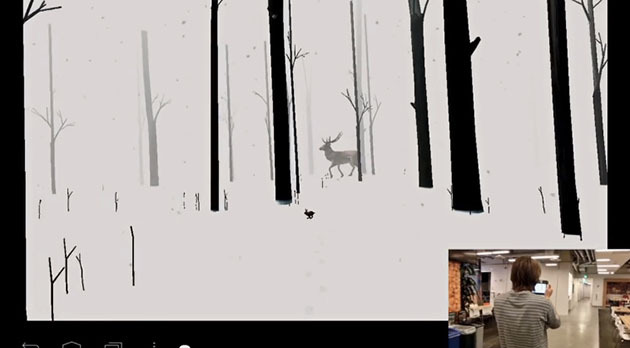 One demo in its technology display, for instance, shows how you could zoom into a scene without the considerable pixelation normally seen on a smartphone. In another example, selective Lytro-like focusing was used on a photo after it was taken, but with more precision thanks to depth sensors. Presumably, developers could tap into those features as well as the 3D mapping to create apps with an immediate, tangible benefit to consumers. Whether Google's SDK will permit such development or not remains to be seen. Qualcomm-backed Pelican Imaging takes a completely different approach to depth sensing. It's developed an array of 16 lenses in a 4 x 4 grid, each of which captures only red, green or blue colors to produce 8-megapixel images. 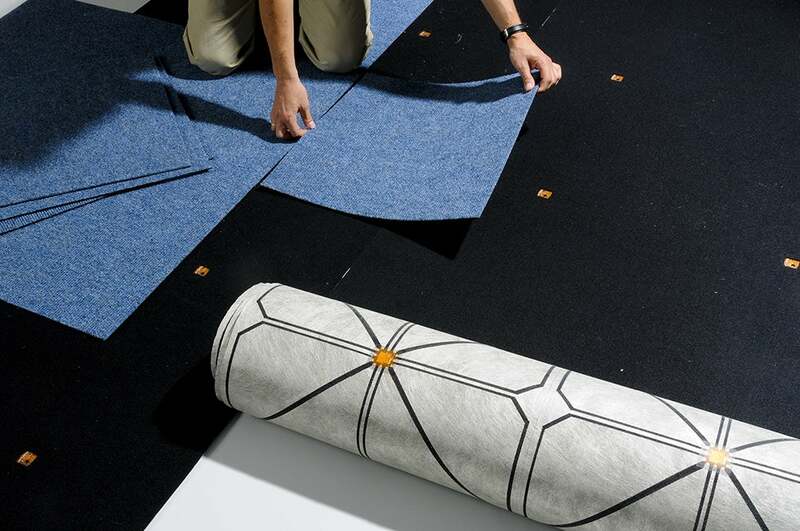 The process reduces noise by eliminating the cross talk between pixels produced by regular CMOS sensors. Offset lenses allow depth information to be captured passively (unlike the infrared Movidius system), enabling a variety of functions and effects. For example, Pelican can perform the same selective-focus trick as Movidius after a picture is taken. It could also bring clearer images in low light and even 3D image stabilization for smoother video and decreased motion blur. The company has also showed off more dramatic effects, like isolating a subject using depth info and placing it into another shot. 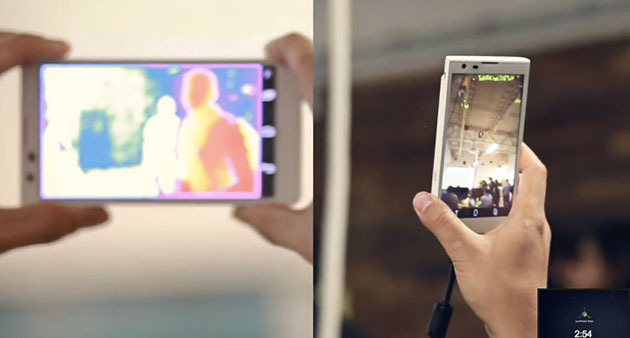 Last year, Pelican told us that its imaging tech would start to appear in smartphones sometime in 2014. It had received a huge vote of confidence (and cash) from Nokia, the smartphone maker leading the charge on camera technology with PureView. However, we met with Pelican here at MWC 2014 and it has now backtracked, saying its sensors won't be installed in any handsets until at least 2015. It's holding out for a deal with a major smartphone manufacturer, rather than settling for contracts with smaller OEMs. We can imagine, however, that any large company would be wary of risking a new handset on unproven technology unless it's clearly an improvement on the status quo. Though Pelican's sensor is clearly interesting, we're not sure it can say that yet. Israeli company Corephotonics is another Qualcomm-backed camera sensor player. Unlike Movidius, it's focused squarely on straight-up camera technology and sees depth sensing as mere window dressing. In fact, during MWC 2014, the company told us that its goal is nothing less than to bring smartphone cameras on par with decent-quality compact zoom models. To do that, it has taken a different tack than Movidius and Pelican by using two high-resolution cameras with different focal lengths. The prototype we saw had a pair of 13-megapixel imagers, one with a standard wide-angle lens and the other with a 3X telephoto. By comparing pixels, its software can enable zooming with optical-like quality for video and stills. 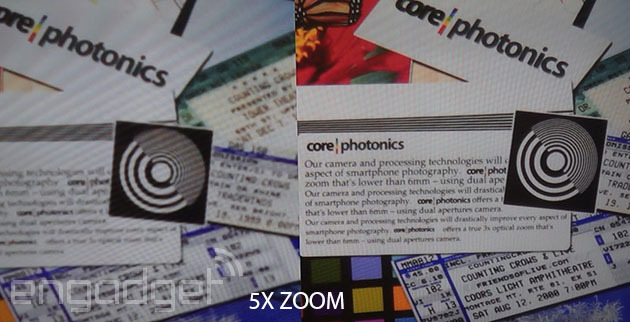 The image above, for instance, compares its results with that of a 5x digital zoom. It also brings other advantages of dedicated cameras, like reduced noise, better low-light performance and shallower depth of field. Though the module looked like it might line up with the two-camera-hole HTC M8 leak, the company denied any connection. A spokesperson did say, however, that its technology is being explored by various smartphone companies and added that there are no downsides compared to current phone cameras. Indeed, as we saw at their Mobile World Congress booth, the sensors delivered not only sharp zoomed still pictures, but smooth zoomed-in video as well, a huge improvement over current shooters. Though you could argue that Samsung's Galaxy Camera and other optical zoom models are better, the Corephotonics' module is tiny enough to slip into devices without substantial changes. That would eliminate the dreaded PureView hump and let makers retain the slim profiles consumers have grown accustomed to. Another factor that Corephotonics feels confident about is power consumption. Its passive tech doesn't draw much more power than a regular camera, and the company told us that any technology using active depth sensors, like Movidius' module, is bound to drain a handset quicker. It also felt that its tech had an edge on Pelican's multi-sensor array, since it supports higher resolutions (Pelican claims its modules produce 8-megapixel images.) Corephotonics also believes that Google's Project Tango could lead to SDKs that will allow app makers to deal with depth info -- something it could capitalize on. As it dawns on consumers that jamming more pixels onto a small sensor doesn't necessarily make their pictures better, camera companies are reviewing their options. Depth cameras look mighty tempting, especially with companies like Google, Qualcomm and Nokia behind them. But the biggest potential lies simply in making your pictures better. 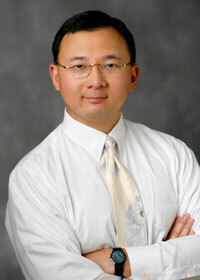 A lack of zooming capability is a serious shortcoming, as are poor low-light capabilities and grainy images. Adding megapixels or boosting sensors can help a bit, but those tweaks add unwanted bulk and expense to cameras. If those issues are put to bed, people may finally chuck their compact or point-and-shoot cameras once and for all. That's the kind of revolution that could make or break this technology -- any other benefits, like Google's vaunted 3D mapping, are just icing on the cake. Update: An earlier version of this article stated that Movidius created the hardware for Project Tango. It actually provided the vision processor. It's always fun to explore with Google Earth, a free tool that allows you to explore the world, or zoom in on your backyard from hundreds of miles above the earth. 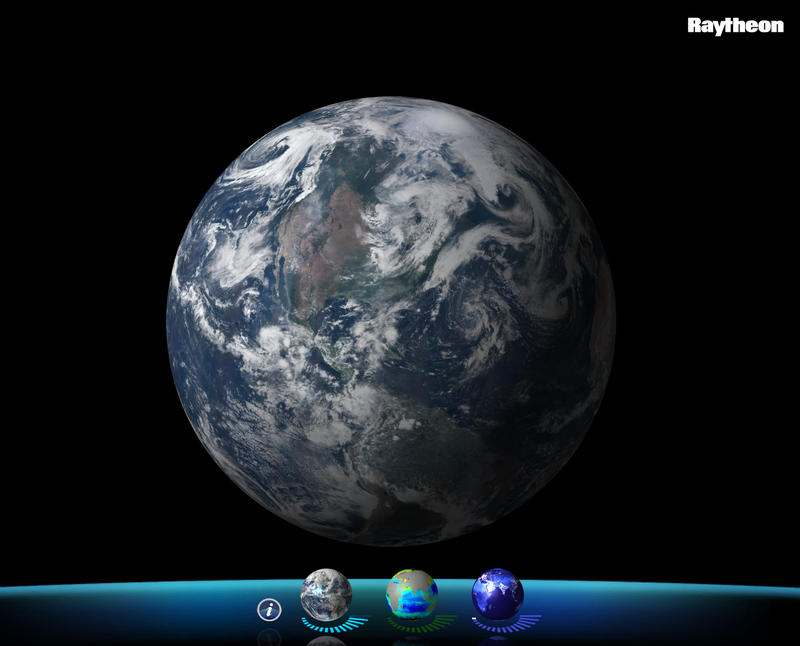 But there's a new app in town, developed by Raytheon, which gives a similar world view, but with three data sets from next-generation weather satellites that are mapping the Earth twice a day. It's called VIIRS, or Visible Infrared Imaging Radiometer Suite, and you don't need to be scientist to check it out. You can download it right here. 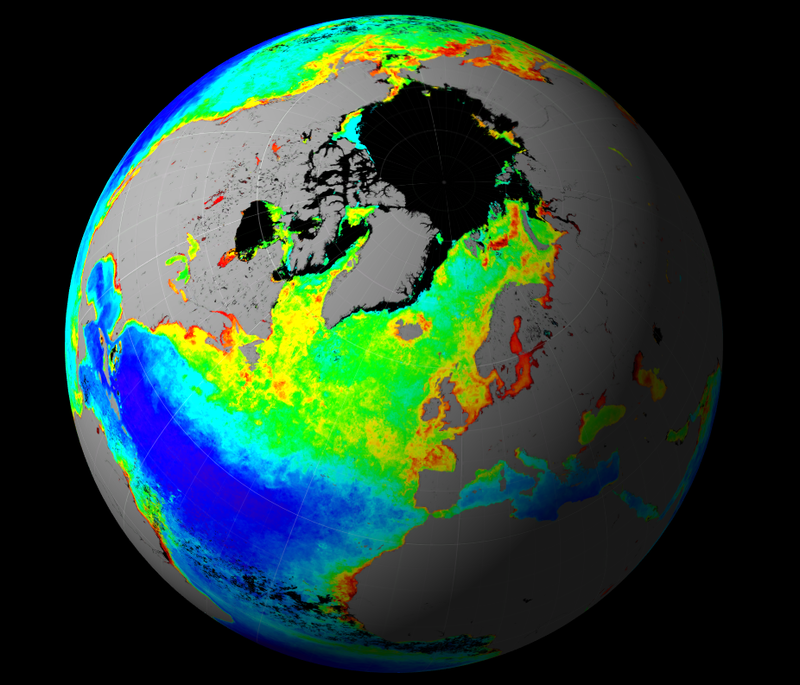 VIIRS, a scanning radiometer, collects visible and infrared imagery and radiometric measurements of the land, atmosphere, cryosphere, and oceans. VIIRS data is used to measure cloud and aerosol properties, ocean color, sea and land surface temperature, ice motion and temperature, fires, and Earth's albedo. Climatologists use VIIRS data to improve our understanding of global climate change. 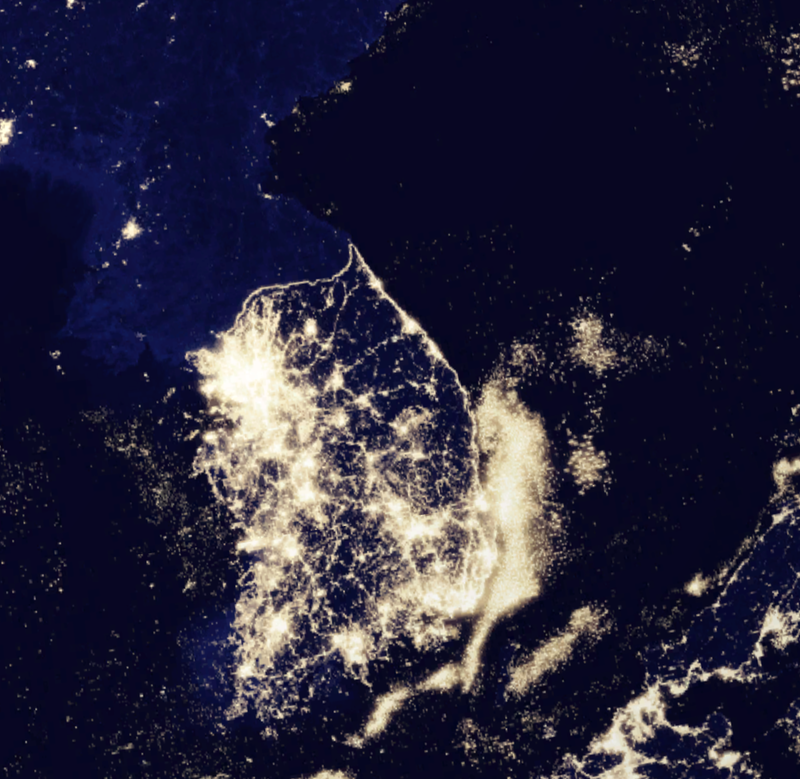 After opening the app, users can adjust the three data sets to show things like visible imagery — the actual view the satellite sees of land, oceans, and cloud cover — low-light imagery, which gives a remarkable view of man-made light sources on the planet, and then chlorophyll concentration, which can spot tiny phytoplankton in the world's water. "By mapping the amount and location of phytoplankton, scientists gain valuable insight into the cyclical evolution of the ocean environment," Raytheon writes on its website. "The chlorophyll map in VIIRS View was produced from data collected in spring 2012." VIIRS View is currently on Mac and PC but a mobile version is being worked on. Not all surge protectors are created equally. There are a lot of factors that make a good surge protector good , and our friends at The Wirecutter put a bunch to the test. The winner? The APC SurgeArrest. Why did we pick the APC Surgearrest 3020J? Because it delivered the best surge protection and a decent mix of features for not too much cash. The Surgearrest 3020J clamped a 600-volt spike down to 160 volts, while most of the other models we tested only managed to get the spike down to between 250 and 400 volts. This means that the Surgearrest 3020J absorbs more of the energy from a spike, making the spike less likely to damage a component connected to the surge protector. The Surgearrest 3020J’s noise filtration reduced radio-frequency noise at the AC outlets by an average of -30.4 dB, which is above-average performance among the units we tested. Perhaps the best thing about it though is that it's affordable—only about $27 at Amazon, meaning it'll protect all of the gear you plug into it for much less than you'd spend on a fancier unit. 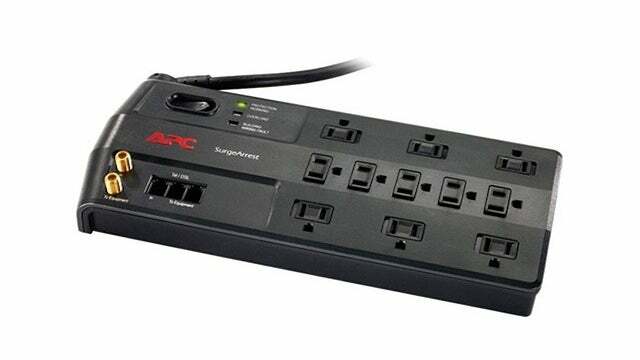 Plus, as we mentioned in our Hive Five on surge protectors, everything plugged into it is covered by APC's $150,000 connected device warranty if something should happen while it's plugged in, so there's that too. With luck however, it'll stop a surge long before it damages your gear. Hit the link below to read The Wirecutter's full recommendation. Look, we get it. You've got a fever, and the only prescription is more Pokémon. We've all heard it before. Thankfully, this time there's a solution: a heap of Pokémon content is coming to all Netflix territories on March 1st. That's, "the classic first season of the television series, Pokémon: Indigo League, the fan-favorite Pokémon: Black & White season, and two feature length Pokémon movies [Pokémon the Movie: Black-Victini and Reshiram and Pokémon the Movie: White-Victini and Zekrom]." 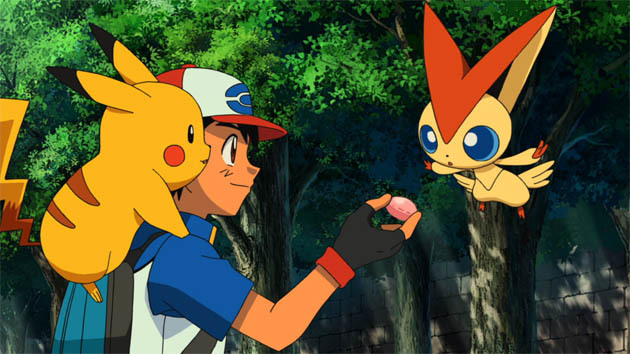 It's unclear if and when more titles from the world of pocket monsters will hit Netflix -- a Netflix rep tells us there aren't currently plans to add more -- but one thing's for sure: real fans will want to catch them all. Nope, we couldn't help that. Sorry. Growing older comes with a few nice things. Knowledge evolves into wisdom. Context informs perspective. A long life's ups and downs are woven into a rich tapestry of memories. But it also comes with a number of consequences that almost everyone would just as soon avoid. Footing becomes unsure. Bones grow fragile. A task as simple as rising from bed or navigating a room becomes fraught with danger when a fall could mean a broken hip or being unable to get up again. Most GoPro videos of extreme stunts are accompanied by the sound of rushing wind, the roar of an engine, or just straight-up screaming. 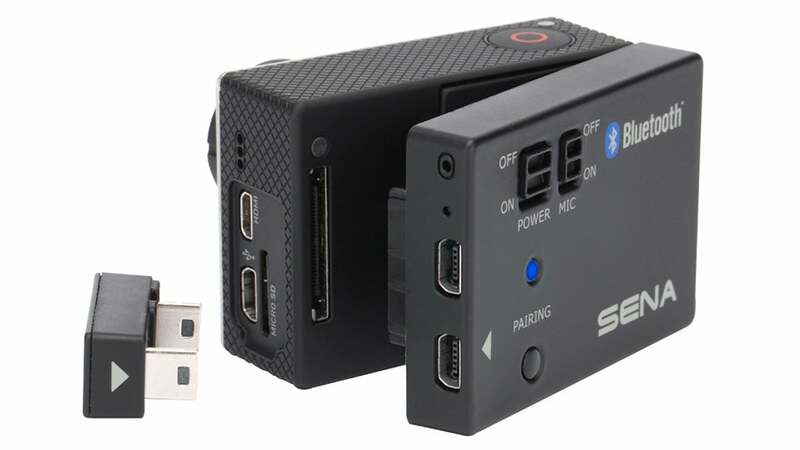 But with Sena's new Bluetooth Audio Pack for the GoPro Hero 3, you can use a wireless mic to provide narration alongside whatever stunt you're attempting.